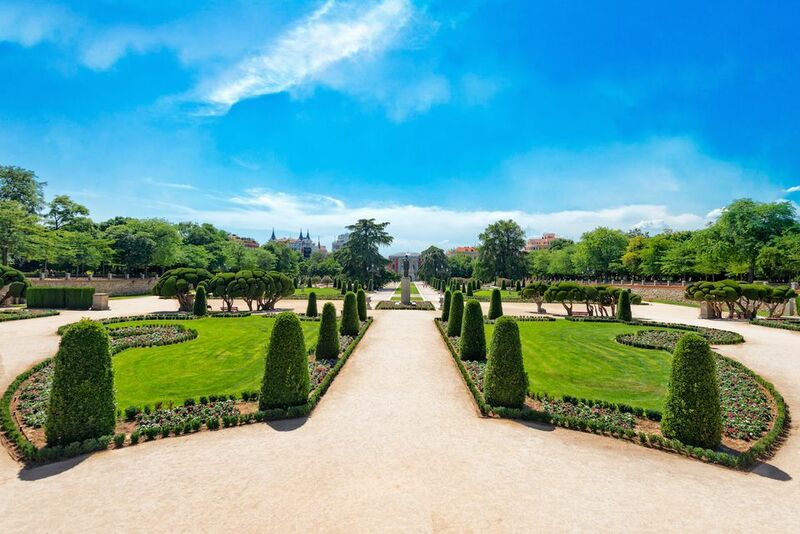 With dozens of lush parks and gardens dotted throughout the city, Madrid has earned its claim to fame as Europe’s greenest capital. And with a pleasant Mediterranean climate and plentiful sunshine throughout the year, it’s always easy to enjoy these beautiful spaces. Without a doubt, the most well-known of all of Madrid’s parks is Parque del Buen Retiro, commonly referred to simply as Retiro. Similar in size to London’s Hyde Park, there’s no shortage of things to see and do in and around this bountiful green space. Here’s what you need to know about Retiro so you can enjoy this gorgeous park like a local. Today, millions of people from all over the world and from all walks of life enjoy Retiro’s natural and cultural spaces. That wasn’t the case when the park was created in the mid-17th century, though. The Count-Duke of Olivares donated the land that makes up the park to King Philip IV, and in its first few centuries of use, the park belonged exclusively to Spain’s royal family. In the 19th century, the peaceful park changed hands from the monarchy to the Madrid city government, officially becoming municipal property. It was officially opened to the public in 1868, and visitors from around the world have been enjoying it ever since. In 1663, not long after the park was completed, a Mexican cypress was planted in the Parterre garden. That tree still stands tall today, making it the oldest in Madrid. Another of Retiro’s lasting features is the iconic manmade lake, which was part of the original royal park. It was originally used to stage recreations of famous naval battles (in which King Philip IV himself often participated!). Let’s go back to the famous lake for a moment. Known as the “Large Lake” (that’s actually its official name! ), it serves as one of the most recognizable symbols of Retiro Park as well as one of Madrid's can't-miss photo ops. Today, you can rent rowboats and spend some time relaxing in the Madrid sunshine as you enjoy the views of the historic monument that sits at the top of the lake. A popular activity among local families and visitors alike, it’s a great way to relax right in the heart of Spain’s bustling capital. Although the timeless wrought iron architecture may make it seem like the Palacio de Cristal (Glass Palace) has been around forever, it’s actually one of Retiro’s newest features (relatively speaking, considering the park’s nearly 400 year history). It dates back to 1887, when architect Ricardo Velázquez Bosco built it for that year’s Philippine Exhibition. Originally intended for use as a greenhouse, today it’s home to fascinating artistic and cultural exhibitions — as well as breathtaking views as the sunlight dances off the glass. Home to more than 4,000 gorgeous, colorful roses from all over Europe, Retiro’s exquisite rose garden is at its best in the months of May and June when the flowers are in full bloom. The enchanting fountain and neatly trimmed hedges lining the quaint pathways will make you feel as if you’ve been dropped into a charming fairy tale garden. Don’t miss the nearby Fallen Angel statue, either — it's one of the park’s most controversial sights due to its depiction of Satan. Located just east of Madrid’s city center in a quiet, residential neighborhood, Retiro is easily accessible from just about anywhere in town. Due to the compact size of Madrid’s central zone, getting there on foot is no problem at all. The city's most famous avenue, Gran Vía, as well as the central Puerta del Sol plaza are each a pleasant 20 minute walk away. On the other hand, maybe you've been walking around all day and don't feel like trekking to the park on foot. If you’d prefer to take public transport, simply take metro line 2 to the Retiro station, which is directly in front of the park. Retiro Park is just one of Madrid’s myriad of sights and attractions that make the Spanish capital worth visiting. It’s within walking distance of some of the city’s most iconic museums: the Prado, the Thyssen, and the National Archaeological Museum. If you’d rather stay out in the fresh air, exit the park through the northwestern corner, where you’ll see Puerta de Alcalá, the triumphant 18th century gate that once stood as the main entrance to the city. Continue along Calle de Alcalá and soon you’ll find yourself on Gran Vía, Madrid’s most iconic street and home to some of the city’s most picturesque buildings.